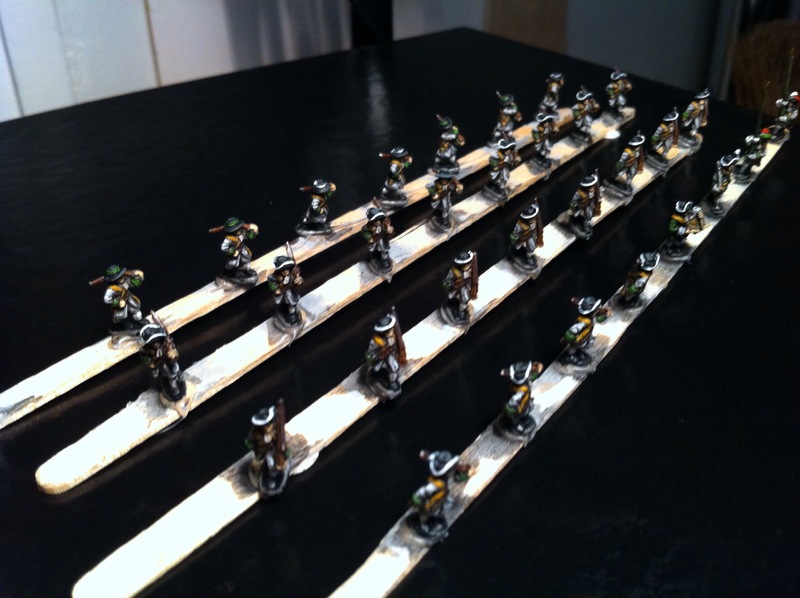 I started painting some of Pendraken’s excellent League of Augsburg 10 mm figures. I thought that lace wars would be a good colourful era after ACW. So of course the first unit on my table was a French regiment. They are grey. Well, some Dutch next I suppose. Nice! Of interest might be a conversation I recently had with a fellow who really knows his GNW, who said that for most of the pre-Poltava period the Swedes would have been dressed in old uniforms, i.e. coats without turnbacks and floppy hats just like in the Nine Years War. This nicely gets around the pretty limited Pendraken GNW line!